Cassidy is the daughter of Officer Jon and Kelley Huff. She was diagnosed with Ewing’s sarcoma and will require several blood transfusions during the course of her treatment. 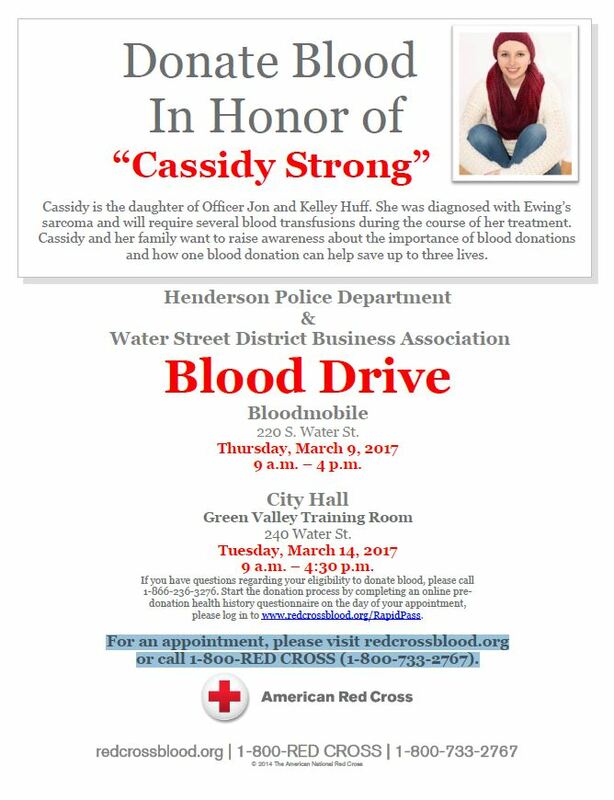 Cassidy and her family want to raise awareness about the importance of blood donations and how one blood donation can help save up to three lives.